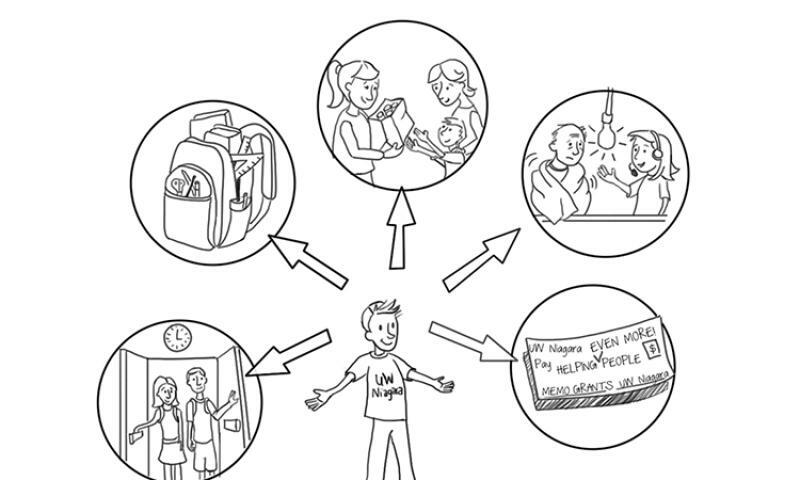 United Way approached us in the spring of 2013 to create a whiteboard video for their campaign. Not only was the message upbeat and motivating, it was also an opportunity to draw a variety of characters which is always fun and appealing. The whiteboard style was successful in so many ways for this project. This is an excellent example of how revealing the hand drawn characters is a great way to bring personality and a human element into a brand.